Has Your Phentermine Stopped Working? Do These Things. Feeling satisfaction when we look at ourselves in the mirror is a very nice feeling, wouldn’t you say so? Feeling good in your body, feeling strong and healthy only improves the experience and the feelings that you have about yourself, improving your self-confidence. So perhaps, you should think about losing those couple of extra body pounds and with that not only improve your self-confidence but also, and probably more important, improve your health and reduce all of the health risks that come with obesity and overweight. But how, you ask? Of course, the most effective and at the same time a healthy way to lose weight is combining the beneficial effects of regular exercise and a healthy diet. But why not use a highly effective trick in that process as well? We are talking about the possibility of using Phentermine to help you lose that extra body weight as soon as possible, without having to deal with the weight gain effects as soon as you stop using it. Or have you had your experience with Phentermine before, and you are now interested in using it again, and you are afraid that it will not work? Or perhaps you are currently using it the second or third time around and cannot notice any visible results. Not to worry, we, as always, are here for you and today we will explain you everything that you need to know about Phentermine and why is it possible for it to not be working the second and third time around. But we will also share some quite effective tips and tricks to help you in the process. Let’s start, shall we? Phentermine is voted to be the most popular and most effective weight loss drug in the United States, so much that it is the most common weight loss drug prescribed to cases of serious obesity and overweight (1). Phentermine is only available with a doctor’s prescription. It is an appetite suppressor and an energy booster. This drug will reduce your appetite and hunger while at the same time provide your body with the energy that it craves in order to complete your workout routine for the day efficiently. What makes Phentermine different from most weight loss drugs is the fact that we are talking about an FDA approved drug – a thing that is not much common in the circles of weight loss drugs and supplements nowadays. What many people deny to believe is the fact that Phentermine can be effective only to a certain level when used alone in the fight against obesity and overweight. That is why doctors advise their patients to seriously consider choosing a diet plan and starting a workout program to enhance the effects of Phentermine. Unfortunately, Phentermine is known to cause mild to more severe side-effects including headaches, vomiting, nausea, insomnia, etc (2). That is one of the reasons why Phentermine is available only with a valid doctor’s prescription. The other of course is the unfortunately high addictive nature of Phentermine. Phentermine is used for only short terms (3). If your doctor considers that you require it in a longer period of time than it is usually prescribed for, he/she can recommend taking a break and continuing with your use of Phentermine after a few weeks. Does Phentermine actually stop working? Perhaps this is your second, third or even fourth time around using Phentermine with the sole purpose to lose weight. You probably have had a pleasant experience using Phentermine in the past and knowing that, your doctor has prescribed it again to continue the weight loss process until you have reached a healthy BMI (Body Mass Index). You probably remember losing all of that extra body weight at the beginning of your treatment with Phentermine and how great it had felt. How good you felt being relieved from the constant feelings of hunger and all of that compulsive, binge eating. And now you are standing in front of the mirror, looking at yourself and wondering – where did I go wrong? Why is the Phentermine not working as it used to? Why am I not feeling nor seeing the effects of the drug? Well, let us ask you a few questions. Do you exercise regularly? – A lot of people believe in the myth that it is unsafe to combine Phentermine and exercise to achieve weight loss. But if you hear your doctor more closely, you will hear the exact contrary. If you have skipped on exercising regularly the past times, it is time to start adopting this new habit of yours right now! Regular exercise will not only boost the weight loss process, but it will also improve your sleep, mood, bone and muscle health, immune system, cardiovascular system, respiratory system and so much more! Regular exercising is everything in the process of weight loss. Do not make a mistake by skipping it out and missing all of the positive effects that it brings into your life. Have you taught yourself about healthy eating habits during your therapy with Phentermine? – It is true that Phentermine is an appetite suppressant and an energy booster. It helps you to lose weight by reducing your hunger and boosting your energy level so that you would be able to go on with your normal everyday routine and still have the energy that you need to exercise. But we already mentioned that Phentermine only works when you eat healthily and exercise regularly in the process. Perhaps, here lays the reason why you have not been able to notice its effects as before. Are you eating healthy and exercising on a regular basis? 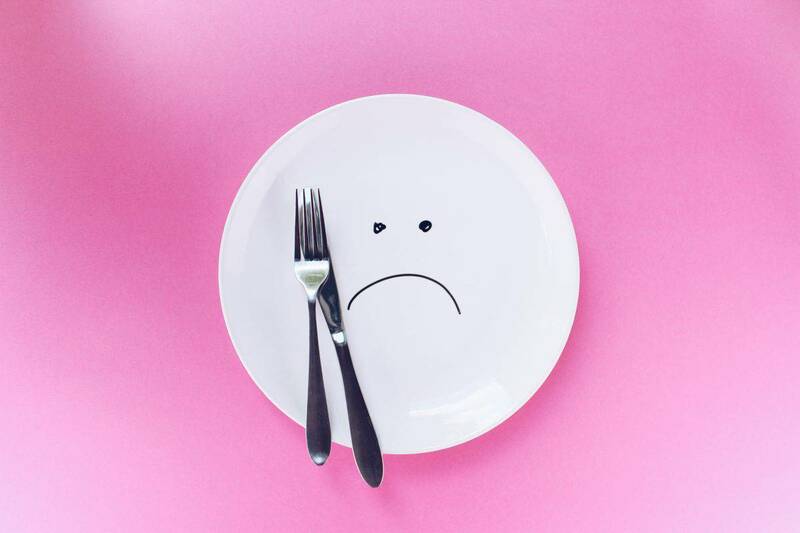 Being an appetite suppressant as it is, Phentermine reduces your hunger, and you will probably feel as if you can eat only little and still be able to function properly. When the truth is that although your hunger had been reduced, you are still supposed to eat three meals a day plus snacks. If you have skipped eating regularly in the past, the sole reason why you have lost all that weight is that you have probably suffered through a calorie deficit. And as soon as you have stopped using Phentermine, you have probably gained all that weight back because you now experience the normal feelings of hunger and you have failed at teaching yourself the healthy eating habits. So really, it is not that your Phentermine has stopped working, it is the sole reason that it requires your help in the form of healthy eating to do the job that it is supposed to. Have you respected the period of time needed to take a break from Phentermine? – We mentioned Phentermine to serve for short-term use only. And that is said with a very good reason. Phentermine is only meant to be used for as long as three months. Anything past that puts you at the risk of experiencing Phentermine addiction and suffering from any of the previously mentioned side-effects. If you have not respected the needed break of Phentermine in the past, you are now perhaps suffering the side-effects and even suffering through weight gain and inability to lose weight. What to do when Phentermine stops working? In the following, we will share some tips and tricks that we think will help you to start the process of losing weight with Phentermine right there by your side. Remember, you can use this second, third or fourth time around to eliminate any of the mistakes that you might have done in the past with Phentermine. Choose a nutritional diet – Calorie restrict one thing but eating a good, healthy diet that includes all of the nutrients required for a good functioning is another, and that is what you should always tend to do while trying to lose weight. Every single good group and nutrient is essential for a healthy body and mind, and that fact does not change in the weight loss process, although it can suffer a few modifications. Set up a regular workout routine – Regular working out is a must as a part of the process of losing weight. We would recommend you to choose an exercise plan that you can follow at the gym or home. Perhaps you can try cardio such as walking, running, climbing, riding your bike or joining a class. The possibilities are endless. Talk to your doctor – Schedule regular appointments at your doctor’s office in order to discuss your new lifestyle and the possible results of the weight loss process. Talk to him/her about any worries that you might have and the recommended dosage. He/she can adapt and change the dosage according to your needs and consult about any questions that you might have related to your Phentermine experience. Use the power of caffeine – Caffeine is considered being able to boost your metabolism and suppress your hunger – both highly beneficial effects in the battle against weight loss. Perhaps you can think about using caffeine from coffee, green tea, and dark chocolate to enhance your experience with losing weight. Respect the prescribed dosage of Phentermine – Do not think about adjusting the dosage that has been prescribed to you by your doctor on your own. This is a highly dangerous thing that you will be involving yourself in. Respect the dosage that has been prescribed to you and the professional opinion of your doctor, and if it happens to have some worries about it, please do consult your doctor. Create a sleep schedule – Getting enough sleep is vital in order to eliminate all of the damages that have been done to your body the day before, especially due to stress. Stress is known to cause increased appetite and a need for compulsive eating. Reduce your cortisol levels, which usually increase when you are not getting enough rest throughout the night by arranging a sleep schedule and getting your 7-8 hours of sleep each day. Losing weight has never been easier now that you have Phentermine to lean on to. But what to do when it seems as it is not working? You keep on taking in, and there are still no visible results. That is known to cause some negative feelings for sure. In today’s article that is exactly what we have discussed about. Reading it perhaps you will discover that you have been doing something wrong from the beginning and now you have the chance to fix things up. After all, Phentermine is not a miracle drug, and it does require your help in the process to achieve the ultimate results. Go ahead and rethink where you may have gone wrong with the help of today’s article!